In-form Dmitry Popko hoists his fifth trophy of the season. The City of Sunrise Pro Tennis Classic was held on green clay courts at Sunrise Tennis Club in the North-West of Fort Lauderdale in Florida. The singles competition concluded with another win of Dmitry Popko. The 22-year-old St. Petersburg native, who is representing Kazakhstan, is currently the hottest player on ITF World Tennis Tour. He is leading the categories most vitories, most matches and most titles with 35 wins in 41 matches, lifting five trophies this season. Unseeded Popko opened the tournament with a two-set victory against 18-year-old wild card entry Christian Alshon from the United States. In the next round, he upset top seeded US-American teenager Stefan Kozlov in straight sets. Macedonian born Kozlov was previously ranked World No. 2 as a junior. After defeating US-American No. 6 seed Harrison Adams in three sets, Popko battled down Alexander Ritschard from the United States in the round of the final four in straight sets. Runner-up Sebastian Korda from the United States started the competition with victories against Argentine Augustin Velotti and US-American qualifier Alexander Knight. Benefitting from a walkover against No. 4 seeded US-American Sekou Bangoura in the round of the final eight, 18-year-old Korda rallied past No. 2 seed Alejandro Gonzalez from Colombia in the semi-finals by three sets. The title match was an equal three-set battle. Sebastian Korda, World No. 1 in the ITF Juniors Ranking last year, converted only three of his 17 break chances and dropped four of his own service games by nine break points he faced. After two hours and 21 minutes, Popko sealed a 6-3, 3-6, 6-4 victory. 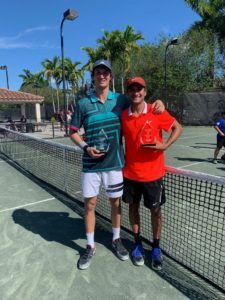 It was the third win in a final on the ITF World Tennis Tour for Popko against Korda in 2019. 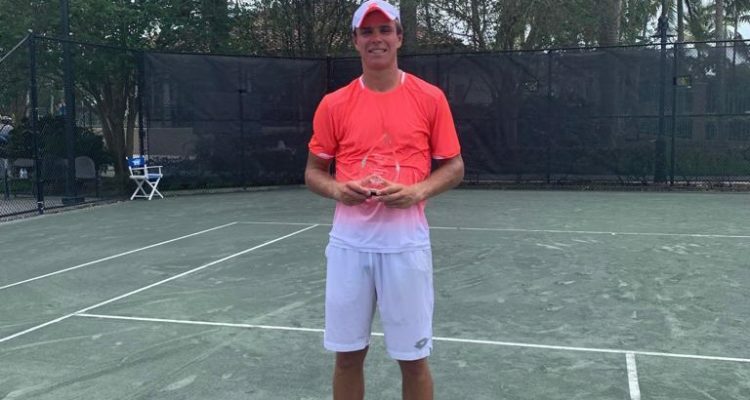 Popko moves on to the ITF tournament in Orange Park/Florida next week to meet US-American qualifier John Harrison Richmond in the first round. Alexander Ritschard and Justin Butsch clinched the title in the doubles competition. The US-American duo batttled past the South-American pairing Maximiliano Estevez from Argentina and Chilean Bastian Malla with 3-6, 6-3, 10-2 in the final. No 5 seed Emil Ruusuvuori prevailed at the LTA GB Pro Series held at Sunderland Tennis Centre. The 20-year-old Finnish got his second Pro Circuit-title of the season without losing a set throughout the tournament. The former No. 3 in the ITF Junior rankings battled past 19-year-old Belgian Zizou Bergs, who entered the competition seeded eighth, in the semi-finals. Dutch veteran Igor Sijsling, last weeks runner-up from Bolton, was stopped in the stage of the final four by 25-year-old Spanish Andres Artunedo Martinavarro, winning in straight sets. Breaking his opponent four times by dropping only one service game of his own, Russuvuori sealed the win against No. 7 seed Artunendo Martinavarro after one hour and 21 minutes with 6-2, 7-5. Lukas Klein is still the man to beat at Soho Square in Sharm El Sheikh. The 21-year-old from Slovakia dominated the tournament without dropping a set during the competition. In the title match, he met 20-year-old and No. 5 seed Jakub Paul from Switzerland, who made his second final appearance on the ITF Pro Circuit. Without facing any breakpoint, No. 2 seeded Klein converted two of his seven break chances to get the victory after one hour and 10 minutes with 6-4, 6-3. Klein could lift his fourth trophy on the ITF World Tennis Tour, all won on Egyptian soil. The Shymkent Open 2019, held at the National Tennis Center concluded with the victory of top seeded Roman Safiullin. The 21-year-old Russian faced compatriot and No. 2 seed Alen Avidzba in the title match. 19-year-old Avidzba, who is coached by Jean-Rene Lisnard stopped the comeback run of former ATP World No. 33 Andrey Golubev from Kazakhstan in the stage of the final eight, winning in three sets. Capitalizing on four of his eight break point chances, Safiullin got the win after one hour and 40 minutes with 7-6, 6-2. The former No. 2 in the ITF Junior rankings could lift his first trophy of the season and the 17th overall on the ITF World Tennis Tour. Shuichi Sekiguchi was the dominating player of the Unicharm Trophy Ehime International Open Tennis held at the Ehime Prefectural Sports Complex. The 27-year-old Japanese did not drop a set during the competition to lift his seventh trophy on the ITF World Tennis Tour. In the title match, which had to be held on Monday due to bad weather, No. 2 seeded Sekiguchi met Japanese veteran Takuto Niki, who entered the tournament by his current ITF-ranking. Sekiguchi, who was previously ranked World No. 5 as a junior, got the win with 6-4, 6-4, breaking his opponent’s serve three times. No. 2 seeded Sadio Doumbia clinched the crown of the Tombim Abuja Open, hosted at Abuja Tennis Club. The 28-year-old-French assured the ticket for the final with a tough battle by winning two tie-break sets versus No. 3 seed Arjun Kadhe from India in the stage of the last four, serving 13 aces during the clash. 19-year old French Jaimee Floyd Angele fired 14 aces in his semi-final against countryman Dan Added, getting the win with 7-6, 6-7, 6-0 after two hours and 12 minutes. Sadio Doumbia was distinguished by efficiency in the title match. Converting all of his four break point chances, he battled past compatriot Angele with 6-4, 6-3 in the 81 minutes lasting encounter. Doumbia could celebrate his seventh title on the ITF World Tennis Tour. Unseeded Jordi Arconada prevailed at the Cancun Tennis Cup, held at the Cancun Tennis Adademy. The Argentine native, who is representing the United States, got the win without losing a set throughout the competition. The 22-year-old faced No. 5 seed Nicolas Alvarez from Peru in the title match. Capitalizing on three of his seven break points without dropping a service game, Arconada emerged victorious with 6-4, 6-2 after one hour and 38 minutes. 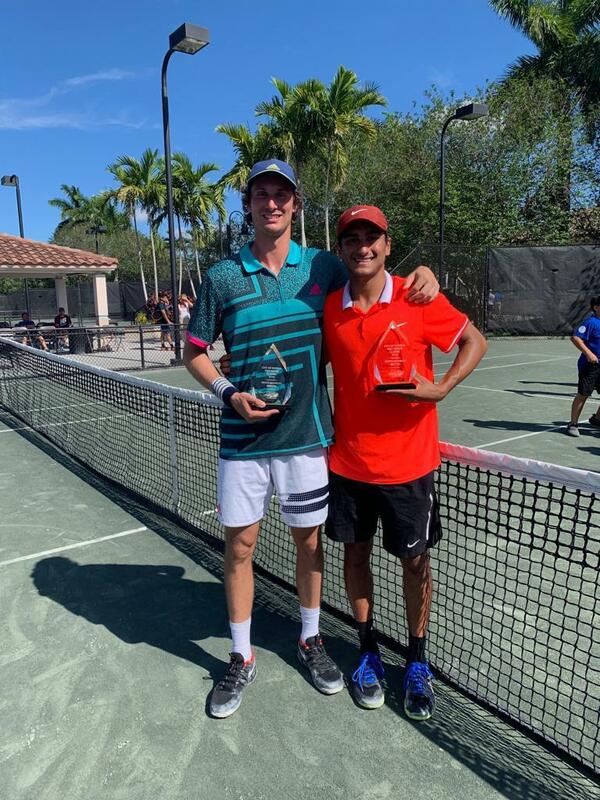 After winning four doubles titles so far, Arconada could lift his first singles trophy on the ITF World Tennis Tour. This entry was posted in ITF World Tennis Tour, ITF World Tennis Tour News and tagged Dmitry Popko, ITF World Tennis Tour.